This Grappa is produced by one of the most famous distillery in Italy: "Distillerie Berta”, exclusively for Fattoria di Montemaggio. 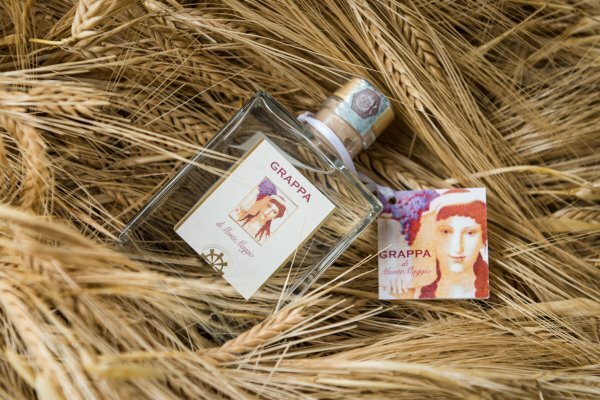 Grappa di Montemaggio is a steam-distilled product, with a crystal colour, warm and soft taste, invigorating and persistent smell, with the hints of wild forest and autumn berries. 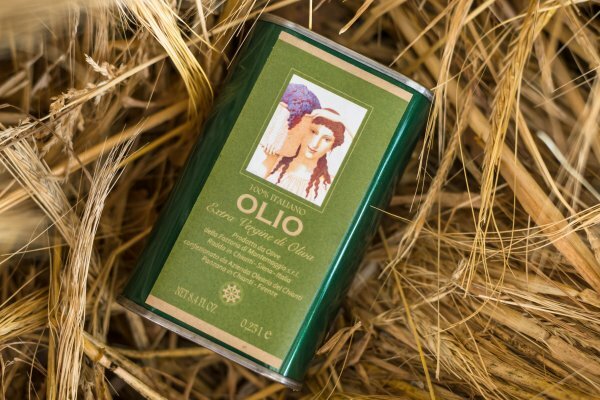 Extra Virgin Olive Oil of Montemaggio is being produced from typical varieties of our zone: Frantoio, Moeaiolo, Leccino e Pendolino. It has a vivid green colour. The taste is full and persistent with notes of almonds, artichokes and fresh grass. But at the same time it has a particular note of spice and sweet bitterness. 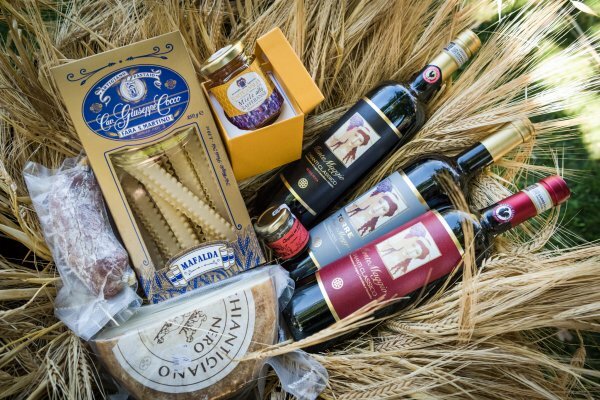 A new Christmas idea this year for your friends, customers or relatives could be a beautiful goldenbox containing various Tuscan delicacies including Chianti Classico wines, grappa and olive oil from Montemaggio.